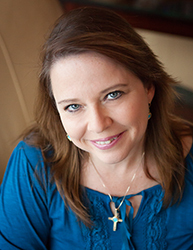 Dr. Teri Cox is an international education consultant, speaker and author. Teri is the Production Director for A Widow’s Might. She joined the team in October of 2012 after losing her husband and best friend, Daryl, in March of 2012. She looks forward to a life of music, missions, and ministry with God in control. Teri counts it an honor and a privilege to be allowed to share the Gospel message through word and song. Her desire is to make God’s name more famous and allow His mosaic of her life to become a more beautiful picture than she could ever have imagined.